Historically cities have predominantly been built by and for men. Women in Urbanism Aotearoa’s mission is to transform our towns and cities into more beautiful, inclusive and accessible places through thoughtful discussions on gender inclusivity in the built environment. We aim to elevate the perspectives of all women and non-binary people with the aim of building kinder, fairer, more equitable and inclusive cities. Women in Urbanism has been around, advocating for more inclusive cities, since 2017. We’re so new! We really couldn’t have started this journey without the assistance of MRCagney (among other organisations). MRCagney has been supportive of the aims of Women in Urbanism since the start and gave staff time to help get this off the ground. Whenever we’ve needed an event sponsor, MRCagney has always assisted us with fuel (wine and cheese platters), or by helping us hire out a neat facility. It probably helps that I work at MRCagney, and I am cheeky enough to ask. Since our inception, we have hosted events featuring international speakers and ministers. We’ve featured on numerous panels and have presented at conferences and we have run a myriad of events. 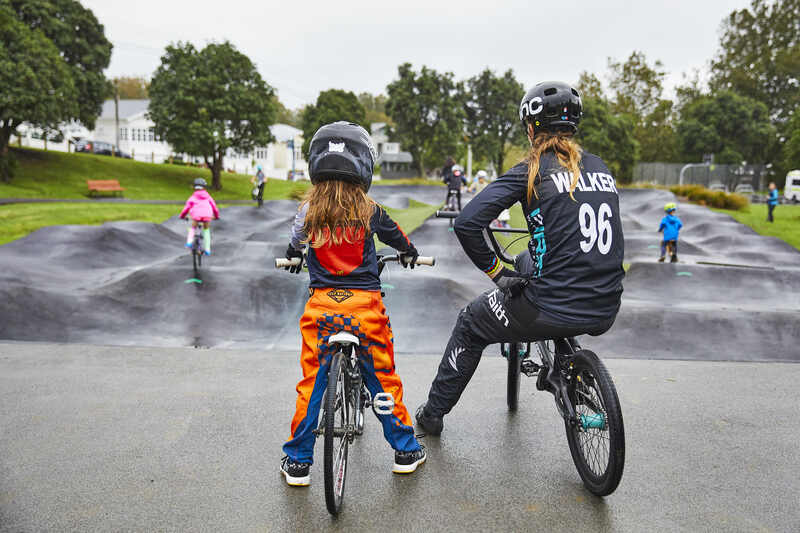 A “Pump Tracks are for Girls Too” event, where we reclaimed a local pump track for girls with the help of Olympic Medalist Sara Walker. Sarah Walker at the Pump Track. For the international Park(ing) Day, we set up a children’s play space and storytelling parklet. We were visited by Mayor Phil Goff, Minister Julie Anne Genter and Pippa Coom and Adriana Avendaño Christie from the Waitematā Local Board. City bicycle rides for the women in WiU who believe in transport choice. A Jane’s Walk, led by MRCagney’s Ellie Craft, to help reimagine downtown Auckland’s potential and to discuss current issues women face in our public realm. I am proud to say that we’ve been featured on Forbes, Newshub, Idealog, The Spinoff, Modacity Blog, Bike Auckland, Greater Auckland, Stuff.co.nz, Viva NZ, Landscape Architecture NZ, RNZ, Red Alert Radio, Treadlie to name a few. We have also worked with Government organisations, such as NZTA, to apply a gendered lens to some of their projects. We were recently part of the CEDAW (Committee on the Elimination of all Forms of Discrimination Against Women) discussions, held by Auckland Council. Women in Urbanism members including MRCagney’s own Danielle Gatland, Ellie Craft and Emma McInnes met with New Zealand’s ex Prime minister Helen Clark at the Auckland Council CEDAW meeting. We offer a mentoring service, have a website and we recently decided to start the “The Amazing Speakers List”. The idea behind the list is to ensure that panelists, keynote speakers, or radio/tv discussions relating to urbanism have an excuse not to invite women. Most importantly, we’ve built a large network of women who are interested in cities, and we’ve given them a space where they can have safe discussions. When women are underrepresented in the built environment professions we get cities that are gendered and affect women unequally. Urban ‘expert’ perspectives can come across as a competition for who can design the most expensive skyscraper or the biggest motorway, and forget the importance of designing at the human scale. We all have a responsibility to ensure our processes are including the voices of women, and our more disadvantaged groups in society. While this post was about MRCagney’s support of Women in Urbanism, I also need to thank all the other firms who have supported us so far. This includes Boffa Miskell, Aurecon, Panuku, Auckland Transport and the Auckland Design office for collaborating with us on events and supplying us with venues and food!